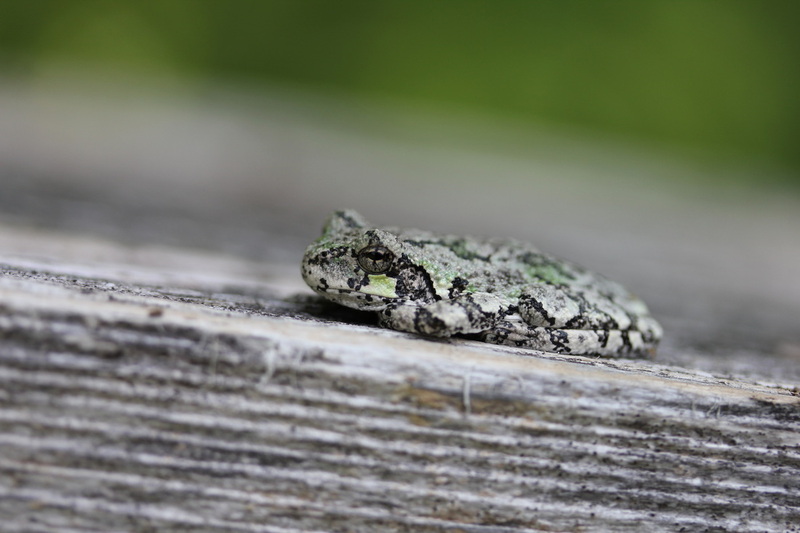 This little gray treefrog was hanging out on a bench at Field's Pond Nature Center. It is only about two inches big. It blended so well with the bench that I almost sat on it! Gray treefrogs are the larger of the two treefrogs found in Maine. They range in color from light green to dark brown. There's a light spot below each eye that is outlined in black and an orange area underneath near their hind legs. Disk-shaped toe pads help them adhere to branches and vegetation. Once it warms up in the spring, you'll hear the male call from trees on their way to wetlands to breed. You may hear their trilling call on a warm summer afternoon too.